This year, Microsoft impressed the world with 'Microsoft loves Linux' announcements, like developing a custom Linux-based OS for running Azure Cloud Switch, selecting Ubuntu as the operating system for its Cloud-based Big Data services and bringing the popular Bash shell to Windows 10. Microsoft has released its own custom distribution of FreeBSD 10.3 as a "ready-made" Virtual Machine image in order to make the operating system available directly from the Azure Marketplace. FreeBSD (Berkeley Software Distribution) is an open source Unix-like advanced computer operating system used to power modern servers, desktops as well as embedded systems. Until now, the only way for Azure customers to run FreeBSD was to make use of a custom image from outside of Azure (from the FreeBSD Foundation). However, the new release makes it easier for Azure users to launch FreeBSD directly from the Azure Marketplace and get official support from Microsoft whenever necessary. Why is it so important for FreeBSD to run on Azure? 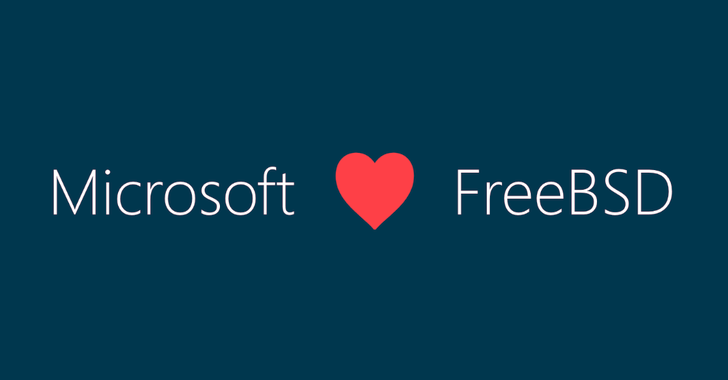 According to the company, it’s important for FreeBSD to run in Azure because many top-tier virtual appliance vendors develop their products on the operating system. However, the key reason for building, testing, releasing and maintaining its own FreeBSD 10.3 image is to ensure its users have an enterprise service level agreement (SLA) for their "FreeBSD VMs running in Azure," says Jason Anderson, Principal PM Manager at Microsoft's Open Source Technology Center. 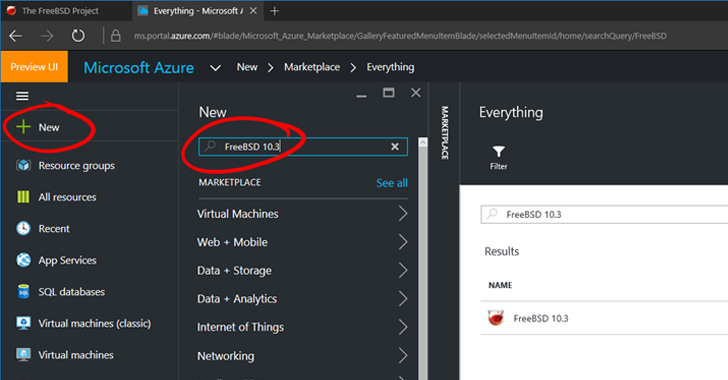 As shown in the image, just click on the +New on the Azure Marketplace tile on your dashboard, Type "FreeBSD 10.3" in the text search box, and here you are. He also added that Microsoft did so to remove "burden" from the FreeBSD Foundation that fully relies on community contributions. "We will continue to partner closely with the [FreeBSD] Foundation as we make further investments in FreeBSD on Hyper-V and Azure," Anderson said, as well as add "new Hyper-V features – stay tuned for more information on this!" The company has previously worked on supporting FreeBSD on Hyper-V as a virtual machine that was aimed at ensuring software appliance partners' kit functioned smoothly in Azure that makes use of Hyper-V.